How to connect IP camera with Dynamic DNS? 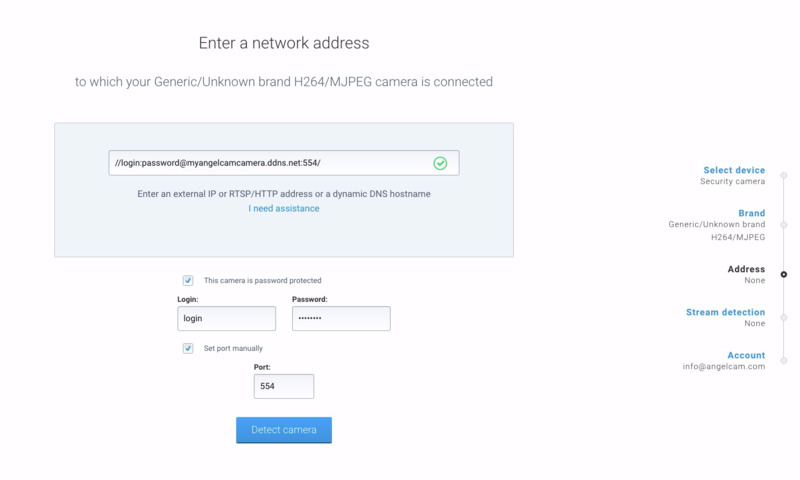 See how you connect a camera to the Angelcam while using Dynamic DNS hostname, e.g. No-IP. 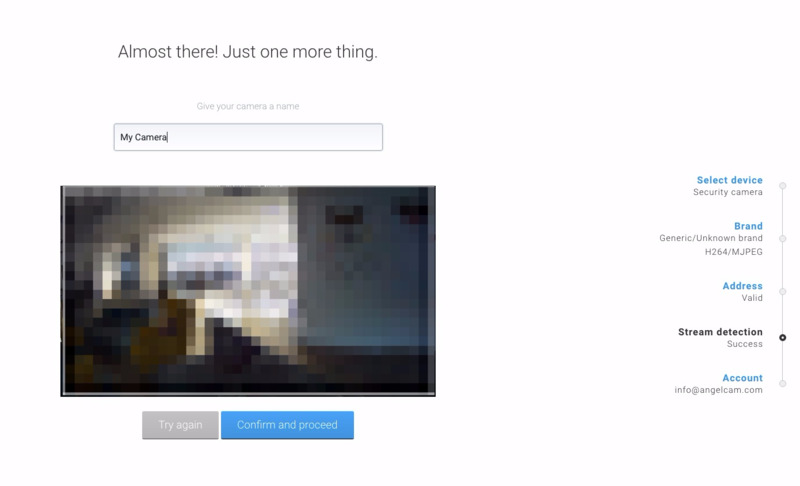 Let me quickly recap what you can do with Angelcam when you successfully connect a camera to this cloud platform for security cameras. Access your camera(s) remotely from any place from any device. Record to the cloud easily & securely. Share the video with selected people or publicly on your website. Get notification whenever your camera goes offline. 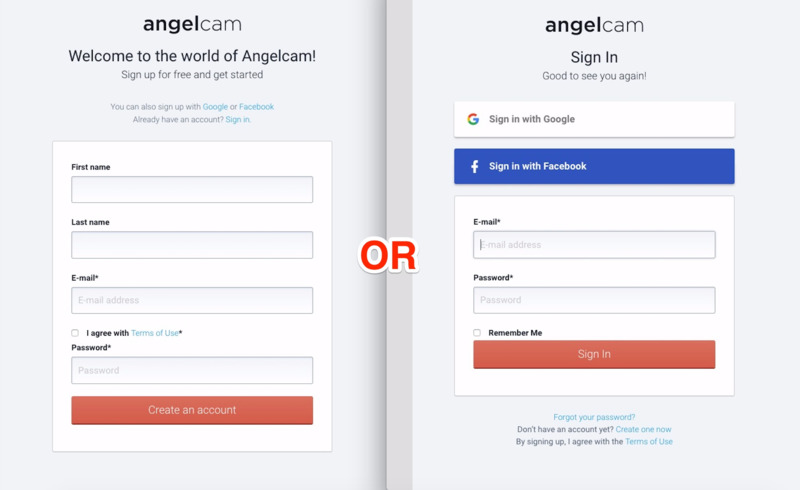 Step 1: Go to www.angelcam.com and click on "Connect your cam now" button. Step 2: "Create an account" or "Sign In" if you already have one. 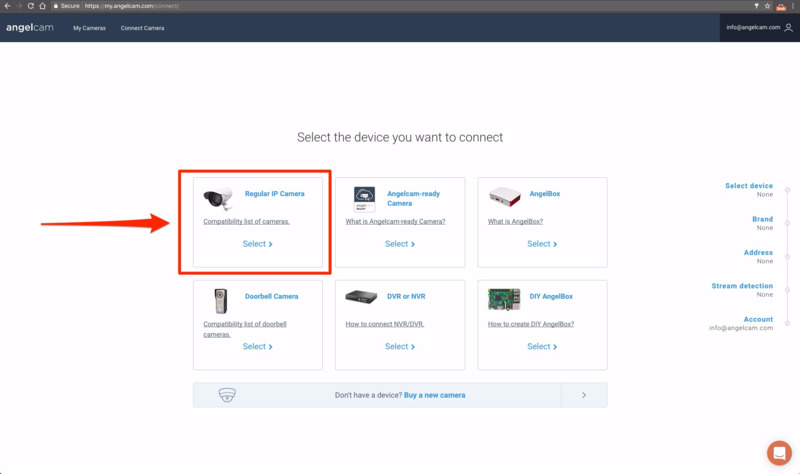 Step 3: When you get to the "Connect Camera" page, select the device you want to connect - in your case it will most likely be a "Regular IP Camera". Step 4: "Select your camera brand" you would like to connect. This will help camera connector to be more accurate and faster. You may choose one from the list of Popular brands on the left. In case your brand is not there, you can scroll down the list of All brands on the right side. Step 5: "Enter a network address" - this is the place where you need to enter your dynamic DNS hostname. You can find it in your DDNS provider account or in your router settings. It looks like "myangelcamcamera.ddns.net". In case you don't have dynamic DNS hostname yet - check this No-IP getting started guide or sign-up to No-IP right away. In case your camera is password protected, you will need to fill in your camera login credentials (Login & Password). If you don't know your password and never changed it, you will most likely have default settings - see default camera passwords directory. Angelcam camera connector automatically scans frequently used ports (554, 88, 81, 555, 7447, 8554, 7070, 10554, 80, 6667, 8080, 8081, 8090). In case you used any other, you will need to "set your port manually". If you haven't open your ports yet, see this guide and keep in mind we always recommend to open port 554. Why? It allows Angelcam to get video with h.264 codec - learn about the difference between h.264 and MJPEG. 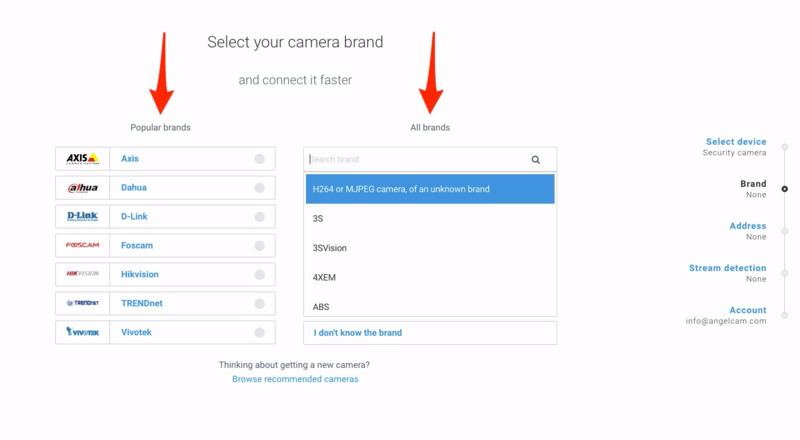 Step 6: "Give your camera name" and click on "Confirm and proceed". You are all done! Remote access to your live video from any place from any device. 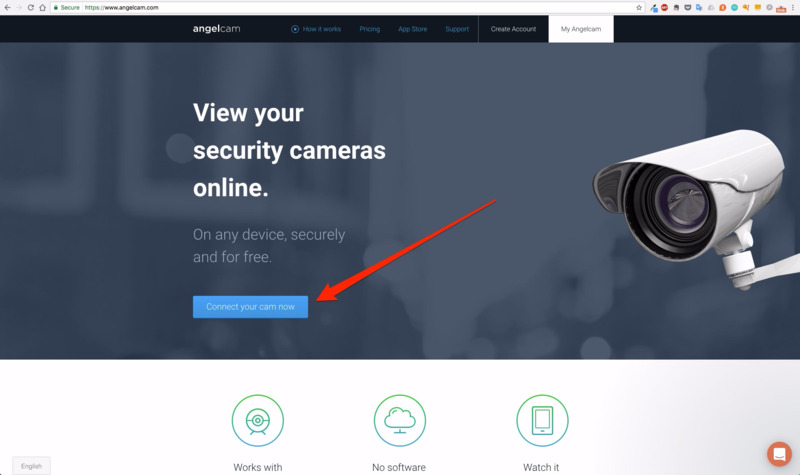 You can view your cameras online on any browser or you can download a mobile app "Angelcam Viewer" for Android or iOS. Record to the cloud. Store your video up to 2 years to the cloud by using our Cloud Recording app. We made it easy, secure and accessible from anywhere. Share the video publicly. With our Broadcasting app you can embed the video from your camera directly to your website. Get notifications whenever your camera goes offline. Search for "Camera Status Email Notifications" in your camera settings. See how to activate an app on your camera. I hope this guide helped you to successfully connect your camera(s) to the Angelcam. In case you would still feel lost - see all the other FAQs. Eventually feel free to contact our support team by clicking on the "chat" button at the bottom right corner.